Recently a friend of ours asked my husband, who is a professional photographer, to take a photo of her for her website. He agreed and we showed up at the arranged time. This only needed to be a headshot so we didn't anticipate being there long. 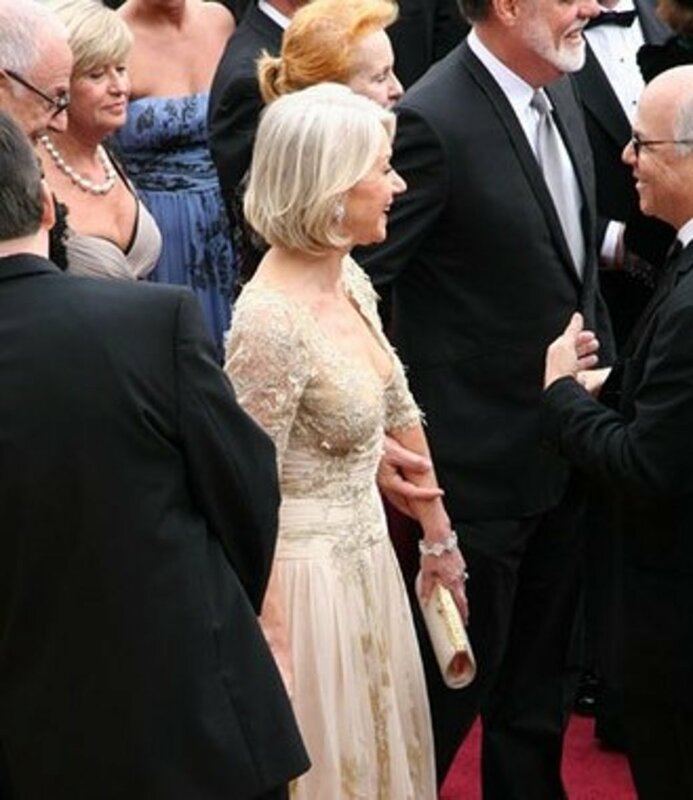 Our friend is in her early 70s with a shock of light gray hair. We get together most weeks for a casual outing, so to see her with a full face of makeup, I was a bit taken aback. It wasn't the touch of lipstick or blusher on her cheeks, it was the eyebrows. White hair, light pink cheeks and lipstick and then POW dark brown eyebrows. Where did they come from? I knew I had to say something to her because her eyebrows were the main focal point on her face. We went into the bathroom and toned them down with a cotton ball. It was at that point I realized the problems of trying to maintain great looking eyebrows when going gray. It doesn't matter what color hair you used to have all that matters now is that you are now a glorious gray or heading that way. It might be a dark or light gray or a combination of the two, commonly called 'salt and pepper'. When you stop to think about it, there are many variations in what we generally think of as gray hair or going gray. For some people, they may have dark hair with streaks of gray and others, such as myself, who have light hair, turning from blond to white. Although it's generally thought that you won't get gray hair until you're older, now it's becoming a fashion statement and women are choosing to color their hair various hues of gray. These range from slate gray to smoky blue-gray to a light platinum. Although the eyebrows don't need to match the color of your hair, they should complement it. Even if you had flowing locks of auburn hair and now you are donning silver ones, let's get a color that will help you look your best. Whether your hair is silver, salt and pepper, white or a combination of all of these, there's an eyebrow pencil color for you. 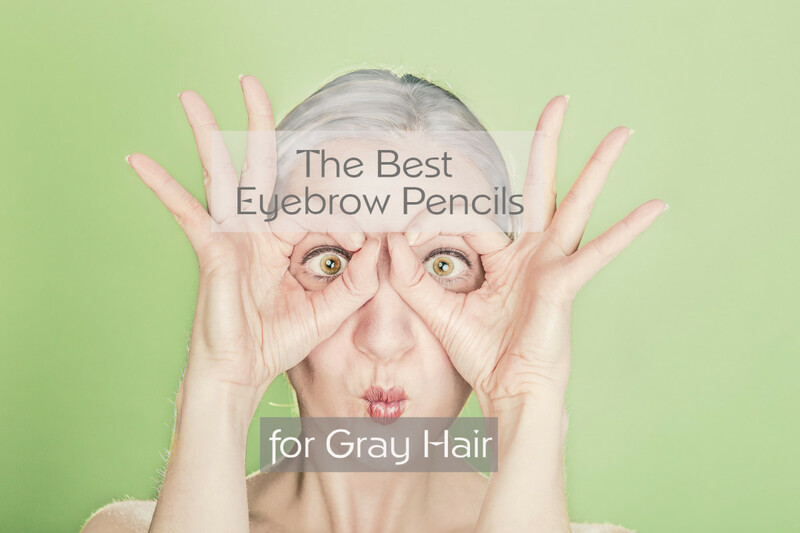 Now you can buy various shades of gray pencils to compliment your color of gray hair. Before it was a kohl pencil which needed to be rubbed out to achieve this effect. I am a light blonde/white gray and I prefer a light gray pencil. This I combine with a taupe powder blended in to give depth and definition. I just use my taupe eye shadow to soften the gray pencil coloring and as an eyebrow fill-in where I have gaps. This is the pencil I use. 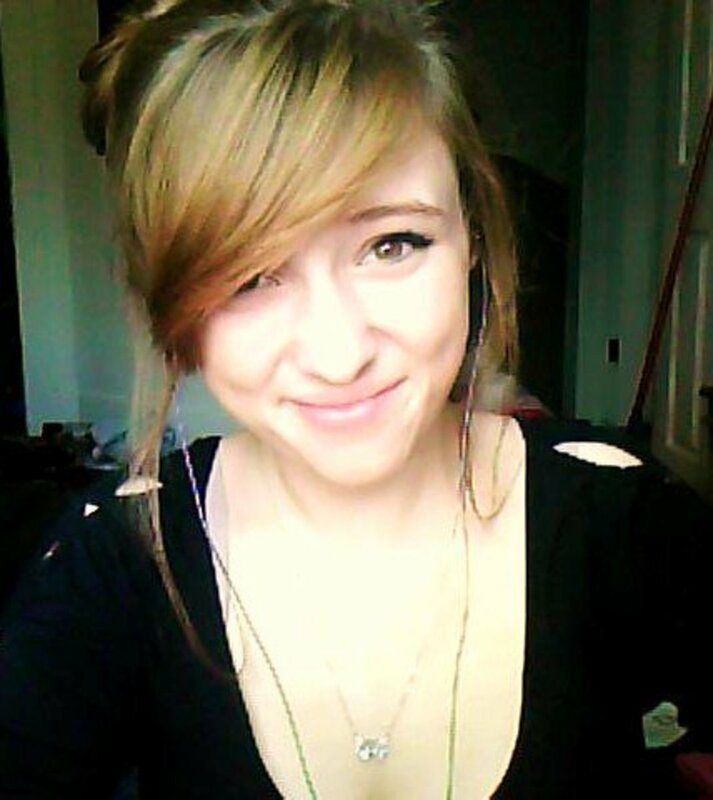 Although I normally wear my hair with bangs, (fringe) I still like to to know I have a complete look. This gray color is perfect for my white/blond hair and just adds definition to my face. I am not one to spend a vast fortune on makeup, so its low price also helps me look smart, but stay within my budget. Although they offer lots of shades, for me, the No. 5 is the best. As if thinning eyebrows and gray hair wasn't enough to deal with, our complexion has also changed. Not just the elasticity but also the coloring, where we once had a pinkish or warm glow, our complexion can now can look ashen. This too needs to be taken into consideration when thinking about the eyebrows. If your skin is light, a dark gray eyebrow pencil will look too harsh. Thinning eyebrows can be a problem for mature women. This can be for a variety of reasons including over plucking or waxing when we were younger. For example, I have a balding patch on one eyebrow where I was stung by a bee many years ago and the hairs never grew there again. In the video below, the woman shows you how to line up your eyebrows to get the beginning point, the correct location for the arch and the tail. Once when visiting my mother, we were getting ready to go out for a dinner. Although we weren't going anywhere fancy, she still wanted to put on some makeup. I had my makeup bag in her bathroom and told her my eyebrow pencil was in there. Now, my mother had been using an eyebrow pencil for about 65 years so, suffice to say she didn't need to look in the mirror to apply it. It was like signing her name on a check, she had done it so many times, it was second nature to her. Well, she should have looked in the mirror because when she came out and said she was ready to go, my sister and I looked at each other and burst out laughing. She hadn't grabbed my light brown eyebrow pencil, she had used a green eyeliner pencil. Our mother stood before us with a matching pair of green eyebrows, while my sister and were bent double in hysterical laughter. I know there are newfangled makeup removers specifically designed to remove this and that with promises to change my life for the better. At my age, I have heard it all before and quite frankly am too old to believe the hyperbole dreamed up by an overpaid marketing guru. I am the type of person who buys a product and if it works, I stick with it. That is the case with Ponds Cold Cream. It is the only remover I use for eye makeup. It takes off mascara, eyebrow pencil, and eyeshadow. The rest of my face I like to use Dove soap. I personally don't use an astringent as I don't want to dry out my face. Brow brush: This is used to apply a brow powder and is usually slightly angled and rather stiff. Excellent for adding additional color to those thinning areas. Brow comb: Used to comb the eyebrows into shape. The tail of the brow: This is the part nearest the temples and one of the parts which begin to thin and drop out as we age. 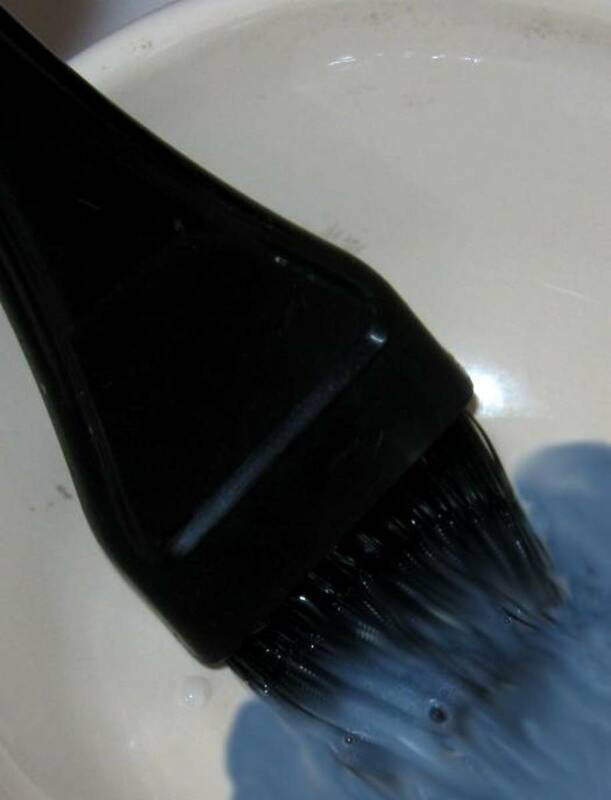 Spoolie: This looks like a clean mascara brush. It is ideal to blend together the hairs, powder, and pencil. Plucking: Removing eyebrow hairs with tweezers. Eyebrow waxing: Like leg or a bikini wax, warm wax is applied and when removed pulls hairs out in the wax. Eyebrow threading: Removing multiple eyebrow hairs using a circle of thread. Eyebrow enhancer: This is a serum that you apply to reduce the hair loss for the eyebrows, reduce thinning, and aid in regrowth. Opt for one with organic ingredients, if using. Where can I buy gray eyebrow pencils? I've looked for years and can't find any! What are the brand names? There is an Amazon link in the article for my favorite gray eyebrow pencil. What do you do when your eyebrows are dark black and your hair is white and grey? If your facial coloring is complementary, then that's great. If you are quite pale, you could tone down the black by using a gray pencil or a lighter eye shadow and blending it in. Because the coloring is natural, I'm sure they look fine. The example I gave in the article, the woman normally has very pale eyebrows and applied a dark pencil which seemed too harsh. My eyebrows are turning gray, but my hair is still very dark. I have very little gray in it, but it doesn't even show up. Should I use a light brown eyebrow pencil? Of course, you can use whichever color you feel comfortable with. A light brown pencil would be a good choice, its darker than the gray but not as dark as your hair. As we age, our skin changes color too, so the light brown you suggest sounds like a good fit for you. I cannot find the Amazon link in your article. What eyebrow pencil do you like best? The link to my favorite pencil is just above the video about brow correction. If you are using an ad blocker, you may have to disable it to see the link. I'm looking directly "above the video about brow correction." Still, I don't see a link. And I don't use an ad blocker. Can you just type the name of the site to visit for the video about brow correction? Yes, go to Amazon and look for Etude House drawing eyebrow pencil. I like the No. 5 grey but there are various shades to choose from. I mentioned to Hubpages that you couldn't see the ad, and they were stumped as to why it wasn't working for you. They checked it on various mobile devices and I use a laptop and I am able to see it. I'm sorry for the problem you had. I’m 54, been slowly graying since late 20’s and stopped coloring A couple of years ago. My hair is almost all white now, but my brows are half and half, the first half are dark and the end halves are white! Not sure what color to use, I would like lighter tho.. 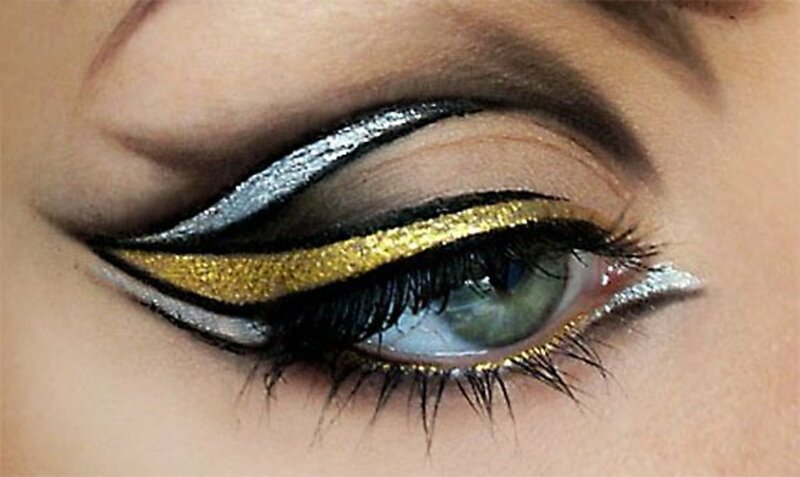 I want to order the products as seen in your video "Correction and Eyeliner for the Mature Eye". Products used were Pebble Eyebrow, Tape pencil to finish, taupe/grey shadow for below eye, Gel liner for underside of upper lid. I am overwhelmed trying to find the correct products to order. Can someone please help me to order? There are some women whose eyebrows never go gray, but sometimes thin out. It is always good to have a plan, just in case. My hair is graying but my brows are still a soft brown so I do not have a problem yet but something to think about. I do like the soft gray ones above, would probably go with that! It helps to not have a stark contrast between the hair color and eyebrows. Even putting a hint of a gray eyebrow pencil will calm the usual brown pencil. Our hair isn't one shade and our eyebrows needn't be either. I'm glad you found the article useful, thanks for reading. 17 months ago from Idyllwild Ca. The time comes to us all. I tell myself, I am just a light blonde when in fact I am a combination of white, light blonde and silver. Just as our hair color changes so too should our makeup choices. Glad you found the article useful, thanks for reading. I can't save I've used Nivea but anything which works and moisturizes (and doesn't cost a fortune) has got to be good. LOL! I just totally cheat with my eyebrows! get eyeshadow brush, rub across brow and go! great ideas and effects. I used to use Ponds, but swear by Nivea thick cream for removal of makeup, cleaning, moisturising etc. I've never had red or auburn hair, although my mother did when she was young. You have an interesting situation because your eyebrows are thick and your hair is now a red/copper color. I've looked at images of women with red/copper hair and the eyebrow color ranged from extremely pale, to black. There were some lovely shades of light brown with a hint of red. Naturally dark hair will have highlights of copper or red, so I would suggest a medium brown with reddish or copper tones. Something else worth mentioning, I feel is it is necessary to pick a focal point. If you opt for makeup on the eyes including eyeliner, mascara, and eyeshadow, choose a low key lipstick. I hope that helps, thanks for the question. Great information! I have always had thick black eyebrows. Luckily my mother always told me never to pluck to try to think tbem and I did on lyrics the bare minimum (a friend had told her whenot she was a teenager if she ucked out her eyebrows she cod shape them more easily when they came back in. They never came back in and she spent hethe life pending them on). Now that I am starting to go grey I am coLoring my hair red and am pencil the grey in my browser black to match the rest. I know you never dye you eyebrows but would you suggest using a red pencil to get lighten my browser not that my hair is a light red/copper instead of dark brown? Thanks for the article. Very informative! Thanks for answering my question, Mary. I remember my mother using Ponds as a moisturizer. I will have to give it a try. The way I use the cold cream is to apply it with my fingers and remove it with a cotton ball. I know people are concerned about putting an oil based product near their eyes. I have checked the Pond's site and it will even remove waterproof mascara. They recommend removing it with a damp cloth. I also use Vaseline at night on the wrinkles around my eyes and don't have any problems from doing this. This was so timely for me to read. I am in search of better makeup for my eyebrows and eyes. Age being a factor, one has to keep up with what looks best. 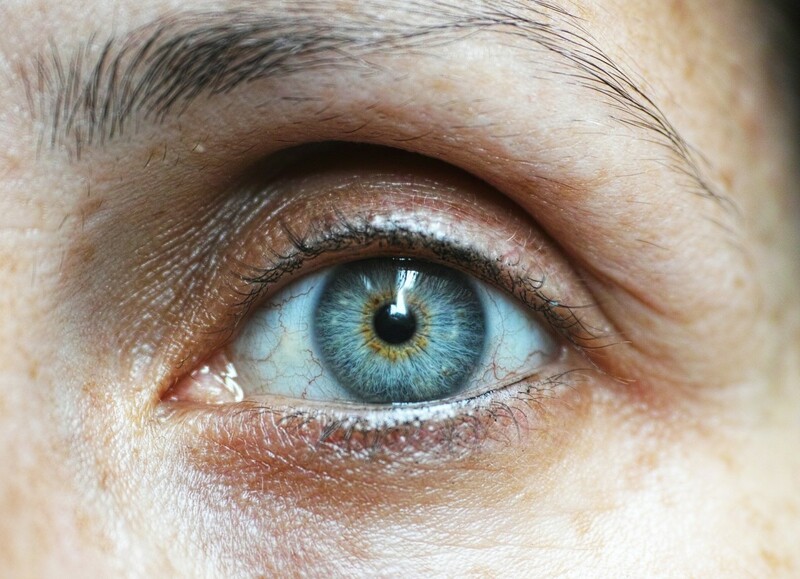 Does the Ponds cold cream affect your eyes? I would love to try it if it is safe. I'm glad you found the information useful. It's always a good idea to keep abreast of the new products which are available for women of our age. Thanks for your visit, and congratulations on your recent HP award. 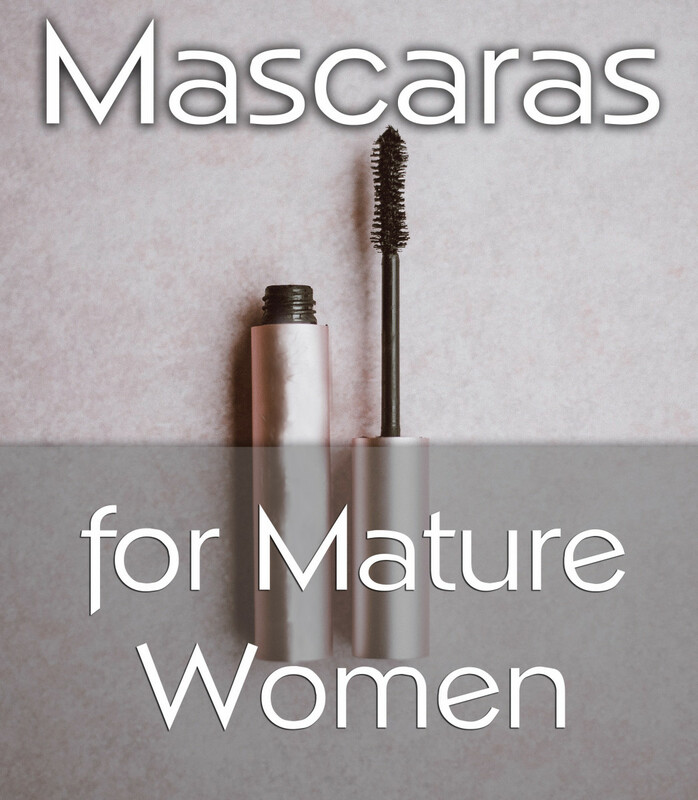 Badly in need of beauty secrets for the mature woman. Thanks for sharing. You convince me to go look for an appropriate eyebrow pencil. I've always thought it must be more difficult for a dark haired woman to go grey. For blonds, it seems it is just a continual lightening. Regarding the lingo, it can be so confusing with regard to cosmetics. It seems new words are being created daily to keep us on our toes. I'm going grey. Fortunately, so far my eyebrows have not started greying yet. But, I did wonder what I would do when that happened, so I am glad I discovered your article. I learned a lot. For example, I have never heard of a spoolie before now. It helps to know such things to get the best results. This is truly, a valuable article. 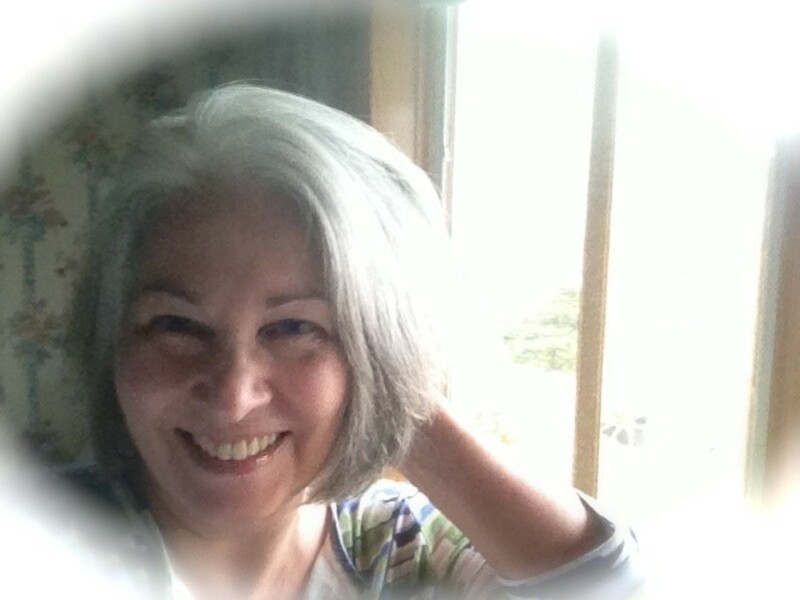 I think the women who rock gray hair are those who are confident and not afraid of getting older. My husband took a picture of a friend and I asked her if she wanted some of her wrinkles removed using a photo editing program. She was adamant that she wanted to keep them because that was who she was. It was refreshing to hear that. There was never a doubt in my mind and I appreciate your support. I hope you have a wonderful week as well. You know I'm a fan of yours when I read an article on eyebrow pencils. :) Have a great week, Mary! I bet those green eyebrows were hysterical. It's sometimes hard to know how to yield gently to greying. I've known some ladies who absolutely rock grey hair, however, and they must coordinate their brows because they don't stand out as strange and dark. Thanks for the tips. We will all need them if we are lucky!